Uninterrupted power supply units for Kanardia instruments. We take great care to design our instruments lightweight and slim as possible. Including cables and switch UPS-U weighs 640 g and UPS-L weighs 230 g.
Sealed lead acid battery for currents up to 1.2 A.
Lithium-ion battery for currents up to 350 mA. Both devices operate in four modes: standby, idle, charging and emergency. Transition between modes is automatical, depending on various parameters. Standby Mode – Switch is set to ‘inactive‘ position. Internal battery is disconnected from electronics. 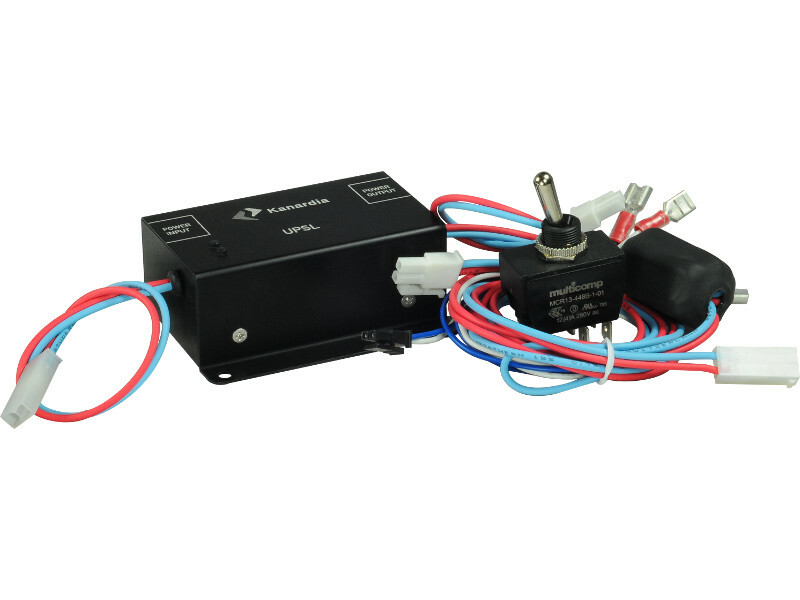 Idle Mode – Switch is set to ‘active‘ position, internal battery is fully charged and input voltage level is above 11.5 V. Electronics switches input voltage directly to output and monitors internal battery voltage level. Charging Mode – Switch is set to ‘active‘ position, input voltage level is higher than 11.5 V. Electronics charges internal battery, input voltage is switched directly to output. 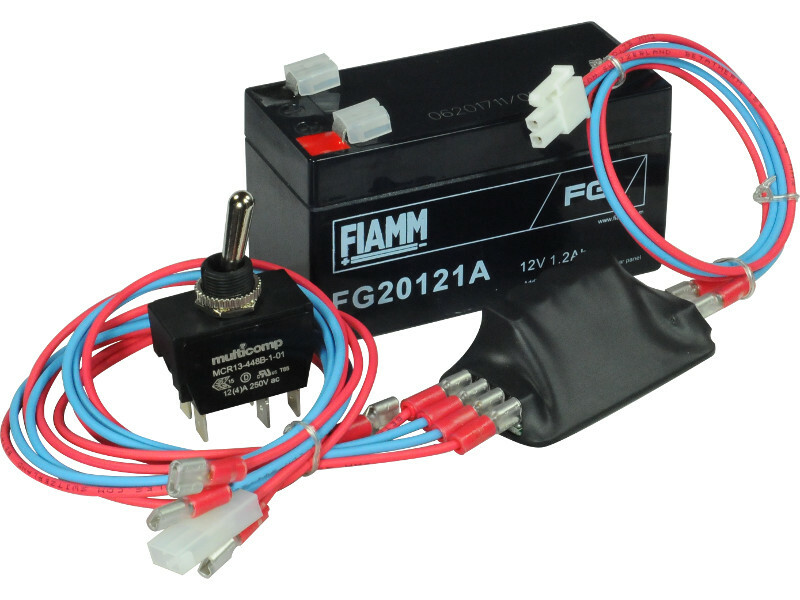 Emergency Mode –Switch is set to ‘active‘ position, input voltage level is bellow 11.5 V. Electronics switches the output to internal voltage booster, supplied from internal battery.